Home » brewing sake » give credit where credit is due. Just like the last two, this spring will see the release of Banryu-Ichi, the Sake/beer hybrid that I have the pleasure of brewing with my friends at the Cambridge Brewing Company. Before we can craft that unique hybrid, we first need to brew a batch of Sake that will yield roughly 80 gallons of finished Sake. With brewing nearly 2 weeks away, today is the day to make the shubo (酒母) — the yeast starter that will insure a great fermentation. The job of the shubo is to make a healthy crop of yeast and to build a good supply of lactic acid, which will effect flavor and protect the Sake from infection by other microorganisms. 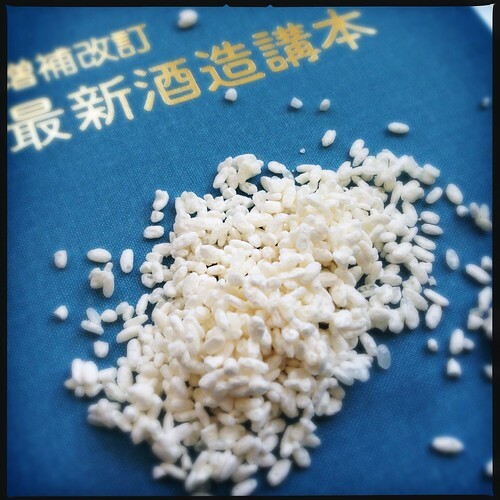 While brewing it’s easy to get caught up in study and building your skills as a brewer, but it is humbling to remember that koji (麹) and yeast — two microscopic living creatures — do all the heavy lifting.